Huge. That’s all June could think. Huge. Mike created a massive web all in a matter of minutes. She’d known him for a year and he’d never done anything this big. Sure he had that little web back in his engineering room and all the little webbing across the ceilings, but those didn’t come close to comparing to this full blown spider web. She had trouble imagining Mike actually catching and eating something from it. Mike had always eaten with the rest of the crew and done so in relative politeness. He didn’t even have fangs like a normal spider. Of course Vic’s standard response when Mike did things a little out of the ordinary went something like “You know Mike. He’s a little off kilter.” This fit the bill for off kilter, no doubt about that. The cargo bay stood nearly two hundred feet tall and Mike dangled precariously, or so it looked, in his web. He looked like he was asleep or in some sort of trance. “What the hell did he do?” Vic asked. Leave it to Vic. “You’re the captain. You figure it out.” She wanted to turn and leave, but she also wanted to see how Vic was going to deal with this situation. “I’m kidding.” Vic shrugged and shook his head innocently at Joey. Vic took several slow steps toward the web. He stamped his foot on the floor and watched for a response from Mike. There was none. When he got closer to one of the web’s strands on the floor, he gave it a quick poke and jumped back. Still no response. “All the better.” June smiled wickedly at him. Vic’s jovial laughter changed to stressed. He returned to the task and gripped the web strand with both hands. Taking a deep breath he shook the web violently. Back and forth he shook it. June looked up and Mike still hadn’t moved. Not yet. Then all at once his eyes snapped open and he plunged to the floor with frightening speed. With his mouth wide open it was easy to see the retractable fangs pop down like massive daggers. Vic still shook the web. “Get out of there!” June yelled. Why wasn’t he moving? “Oh God!” Vic’s hands stuck fast. He wasn’t going to get out of the way. Mike had flipped out and was going to eat Vic. There wasn’t any time to react. None at all. By the time any of them could react Mike reached Vic and clung to Vic’s back. For the first time since she’d met Vic she heard him scream and for the first time in her life, she felt sorry for him. Being eaten alive. What a horrible way to die. Vic’s body slackened and fell to the floor, his hands still stuck to the web. He’s dead. Oh God he’s dead. He’s dead and Mike killed him! There’s a killer on the ship. What are we going to do? Mike wheeled around, his eyes wide and yellow. Crimson blood and yellowish venom dripped from his fangs. He snorted twice, twitched nervously, then launched himself. June gasped. He was coming at her. A blur shot from the side and Mike fell to the floor. Dexter stood over Mike’s body. June’s breath came in short gasps. What happened? Vic was down. Mike was down. What to do next? Vic always made the decisions. He knew what to do. The robot! Argmon howled agreement from the ship’s bridge. Vic’s going to be pissed. He’s got that bet and we don’t have any time to waste. A shimmer appeared over both Vic and Mike. The stasis fields would keep them both contained and safe until they landed. Joop-Nop inspected the fields with branch-like protrusions. Its green body had mostly disappeared and it used a pair of the branches to move itself along. June didn’t know which was creepier, the green, slime version of Joop-Nop or this. June decided not to tell the robot. Its paranoia could be contagious and she didn’t need anything going wrong. Anything more than had already gone wrong. It looked like they weren’t going to be getting paid this time around. Vic only had a little bit of time for this run and if anyone could figure out how to get back on time, it was Vic. He’d gotten them out of several tight spots before. They were all his fault, of course, but he was good. She had to give him that. She just hoped he’d make it out of this one. 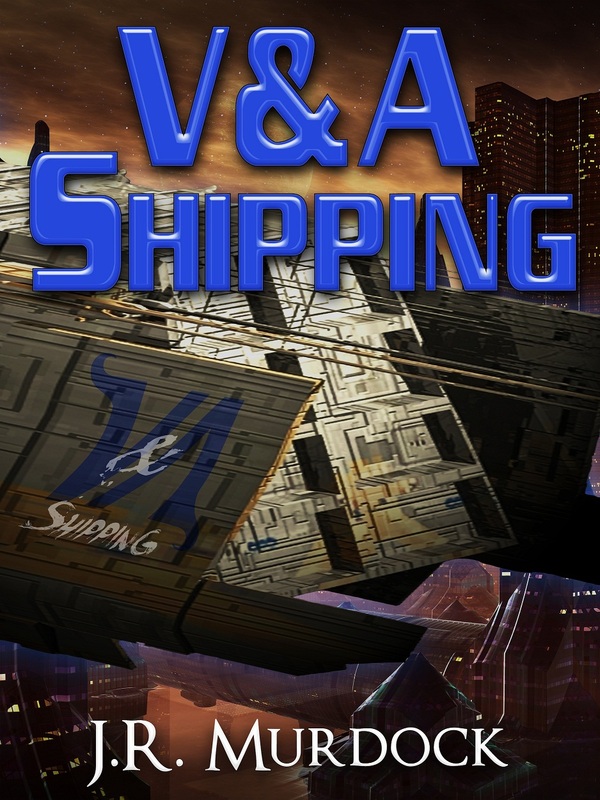 Posted on February 21, 2013, in V&A Shipping and tagged chapter, read along, v&A shipping. Bookmark the permalink. Leave a comment.